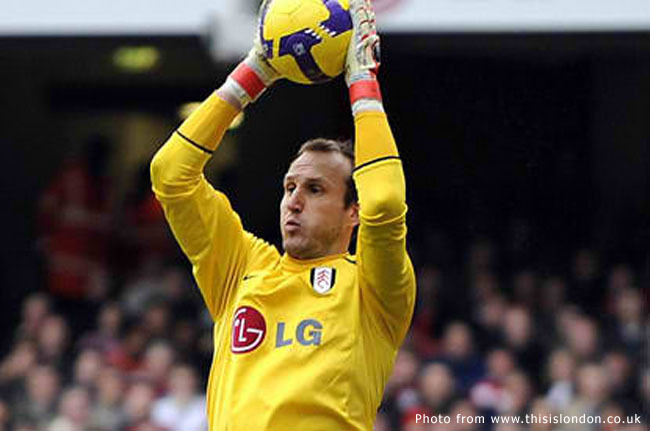 Suffice it to say that any Filipino who saw Fulham FC’s regular starting goalkeeper Mark Schwarzer fall awkwardly while attempting to collect a high ball in last weekend’s Premiership match at Swansea City’s Liberty Stadium probably felt a skipping of the heartbeat – and only partially in sympathy at the obviously injured Fulham shot-stopper. Admit it! While the Australian Schwarzer was receiving treatment, your mind was racing forward trying to ascertain the possibilities – and one very distinct possibility was that the Philippines’ numero uno, Neil Etheridge, would come off the bench to take Schwarzer’s place. Indeed, before Schwarzer picked himself up and signalled that he would be continuing, there was nobody else to call on except Etheridge. The Australian went on to finish the match. Last season, the preferred backup goalkeeper to the Australian was young Englishman David Stockdale. Indeed, Stockdale played in goal for the Cottagers – Fulham’s moniker – for most of January this year when Schwarzer was away on international duty for Australia in the 2011 Asian Cup. The Aussies finished runners-up to eventual winner Japan. Because Stockdale is so highly thought of by Fulham’s coaching staff, he was sent on loan to lower division Ipswich Town to gain valuable playing experience. 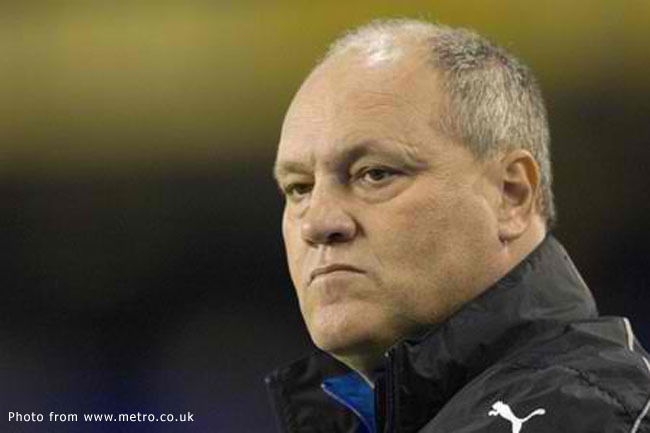 Martin Jol, Fulham’s manager, brought in the Hungarian Csaba Somogyi as cover. Initially, it was not clear whether he would be Schwarzer’s immediate backup or if Etheridge, who erstwhile had been number 3, would be preferred. Of course, those who have been following Fulham’s season know that Etheridge has been brought along to practically all of the club’s competitive engagements as number 2 to Schwarzer. These engagements included the English Premiership, the English Carling League Cup and the Europa League. Early this morning – still night-time in the UK – Fulham was at home in its tiny West London stadium Craven Cottage against Denmark’s Odense BK needing to win to progress further in UEFA’s second most important international club competition, the Europa League. Up until last night, Fulham’s management was still hopeful that Schwarzer would be able to play. In fact, although the Australian was due to see specialists for his injured back, Jol expressed confidence that Schwarzer would be able to suit up for the match. He never did, of course. A whole nation woke up to discover that its number one had made football history. 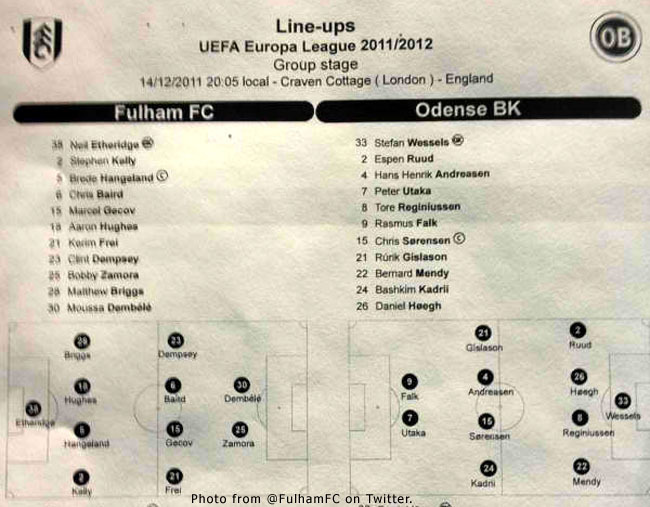 In being named to Fulham’s starting line-up in this morning’s match against Odense BK in the Europa League, Etheridge became the first current Philippines international footballer to play in the first team of a top division English club. In so doing, he also became the first current Philippines international to play in a European international club competition. Of course, what most Filipino football fans are probably praying for is for Etheridge to finally earn a call-up to play in the English Premiership, arguably the most popular local league in the entire world. The day when this happens, we will be the first and only country in the entire Southeast Asia to have a player in the Premiership. Don’t fall off your seat yet, though. 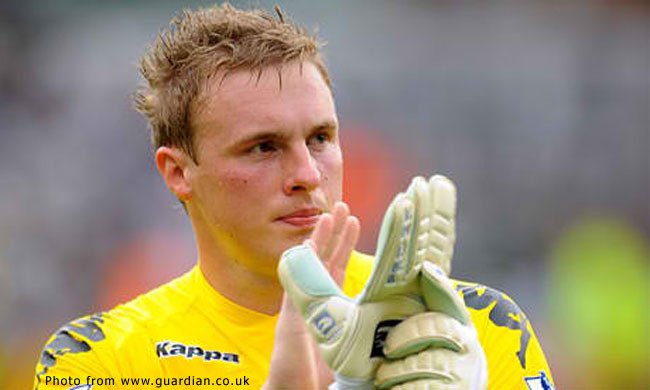 Word is that Fulham has recalled Stockdale back from Ipswich since Schwarzer is expected to be out recovering from a spine injury for as long as six weeks. Unless the pecking order has changed, chances are that Stockdale will start this weekend when Fulham hosts Bolton Wanderers in the Premiership and Etheridge will sit on the bench. In football, of course you just never know. 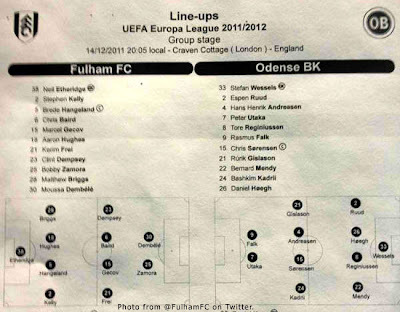 Perhaps Etheridge did enough in the Odense match to convince Jol to start with him. The wall that he built leading to the Danes’ first goal, perhaps, could have been better organized; but he had absolutely no chance with the equalizing goal. Regrettably, the equalizer meant that Fulham has been bundled out of the Europa League. By and large, match reports across the Internet had only praises for Etheridge and his contribution to the match. He was even the fans’ Man-of-the-Match in one football web site; although, why am I not surprised by that? My guess is that the early risers among us Filipino football fans spent the morning voting. I suppose that none of us who follow the fortunes of the Azkals are at all surprised by Etheridge’s performance. We have seen him do it all before. We are all probably thinking that this debut was long overdue. In fact, we probably know more about our numero uno and what he is capable of than Fulham fans actually do! That the Filipino nation was behind Etheridge before he stepped onto the pitch at Craven Cottage was evident from the number of messages that the player received on his Twitter account. “Wild” was how he described the flow of support. Not only fans were messaging him. 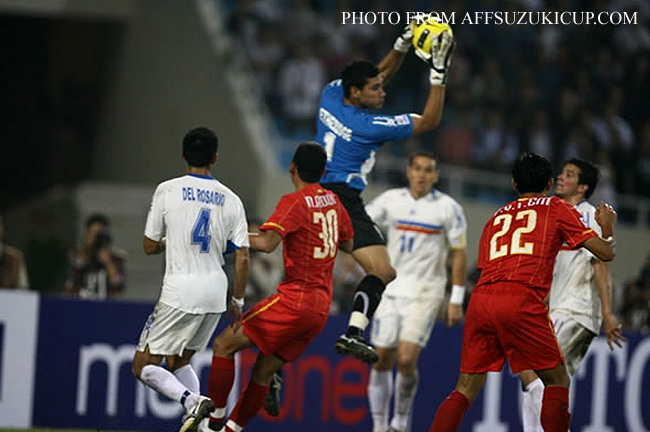 In gestures of oneness with Etheridge, several of his Azkals teammates also sent in tweets of support and encouragement. In a heart-warming gesture, Etheridge tweeted back to all Filipinos, in Tagalog at that: “Maraming salamat sa lahat ng sumusuporta as akin, sana mapanood niyo ang laro ko mamayâ.” I am sure that he had somebody translate that for him; but who cares? Our hearts are all bursting with Pinoy Pride!